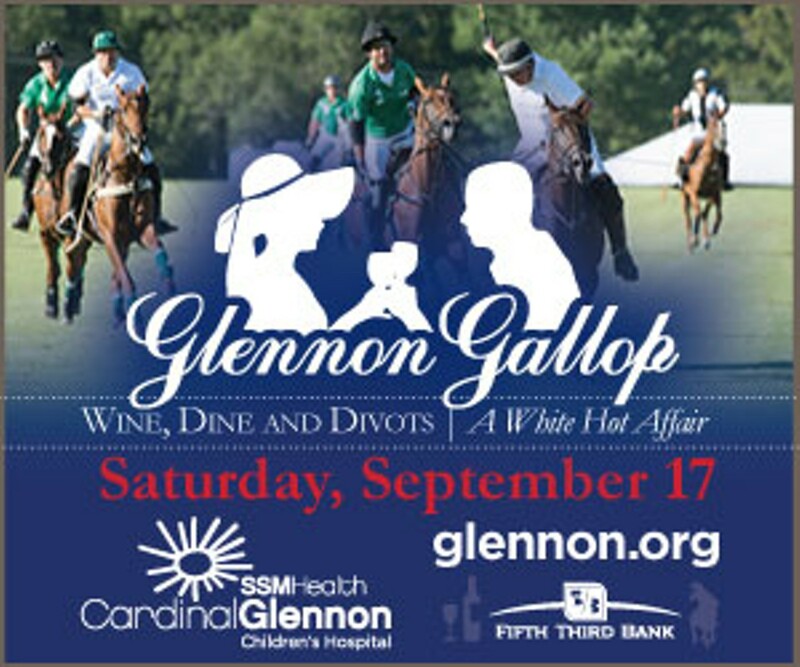 Join SSM Health Cardinal Glennon Children's Hospital for the Fourth Annual Glennon Gallop - Wine, Dine, and Divots! In addition to watching an exciting polo match in your best whites, you'll enjoy field-side shopping from area vendors such as Kendra Scott, The Vault by Women's Closet Exchange, Hats By DI-Anne, and more! 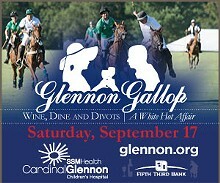 All proceeds of this event benefit patients and families of SSM Health Cardinal Glennon Children's Hospital.